Highway to hell or stairway to heaven? 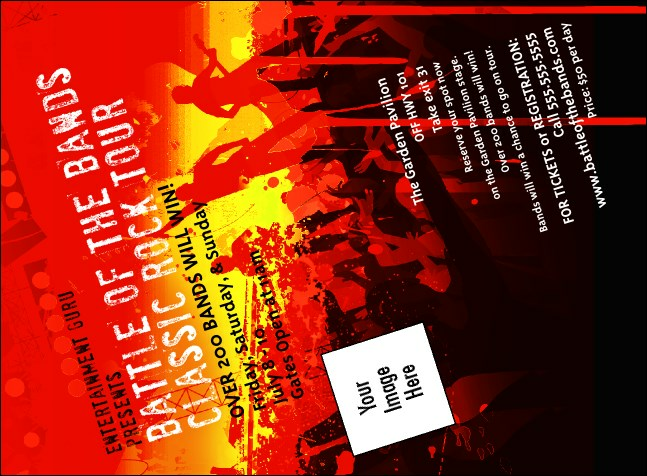 If you want the fans to go your way, get them on the right path with the Rock Concert Red Invitation, bright and eye-catching, with a concert design and space to upload your own custom image to the template. Matching Event Kits drive more traffic to you! Make your sound look great with TicketPrinting.com.